The Comanche was a twin-turbine, two-seat (tandem) armed reconnaissance helicopter with projected missions of armed reconnaissance, light attack and air combat. 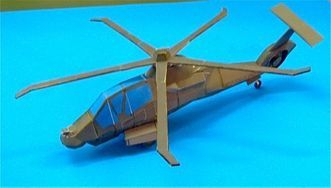 Boeing and the Sikorsky Aircraft Corp. teamed to develop and build the RAH-66 Comanche armed reconnaissance helicopter in 1991. Other team members included Hamilton Standard, Harris Corp., Hughes Link Training Division, Kaiser Electronics, Lear Astronics, Litton, Lockheed Martin, Moog, Sundstrand Corp., TRW Military Electronics and Avionics Systems Group, and Williams International. Allison Engine Co. and AlliedSignal Engine Co. co-developed the engines for the Comanche. 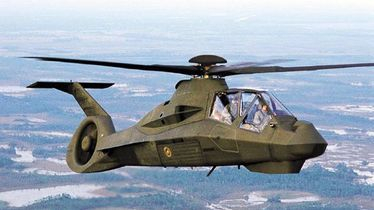 Designed to replace the Army’s then current Vietnam War–vintage scout and light attack helicopter fleet, the Comanche featured an all-composite fuselage, fully integrated digital flight controls, and advanced navigation and weapons systems. It was designed to provide U.S. forces with accurate, timely tactical intelligence. The Comanche program validated a number of aircraft systems and components and built and flew two flight-test prototype aircraft in its demonstration, validation, and prototype phase from contract award in 1991 through 2000. The engineering and manufacturing development phase began in mid-2000. During that time, the program was slated to build and deliver 13 new Comanches for additional flight tests and U.S. Army operational test, evaluation and training. First deliveries were scheduled for 2006, with the Comanche program reaching full production by about 2010. 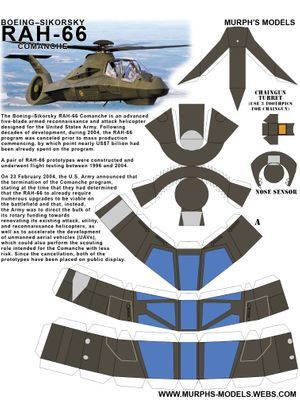 Plans were to manufacture 1,213 RAH-66s for U.S. Army service. The Army canceled the program in February 2004 as a part of a reorganization of Army Aviation. The two protoypes are now in the collection of the U.S. Army Aviation Museum at Fort Rucker, Ala.